Milk Thistle for Large Canine from Pet Wellbeing is a pet supplement that seeks to support the healthy liver in dogs that weigh more than 30 pounds. 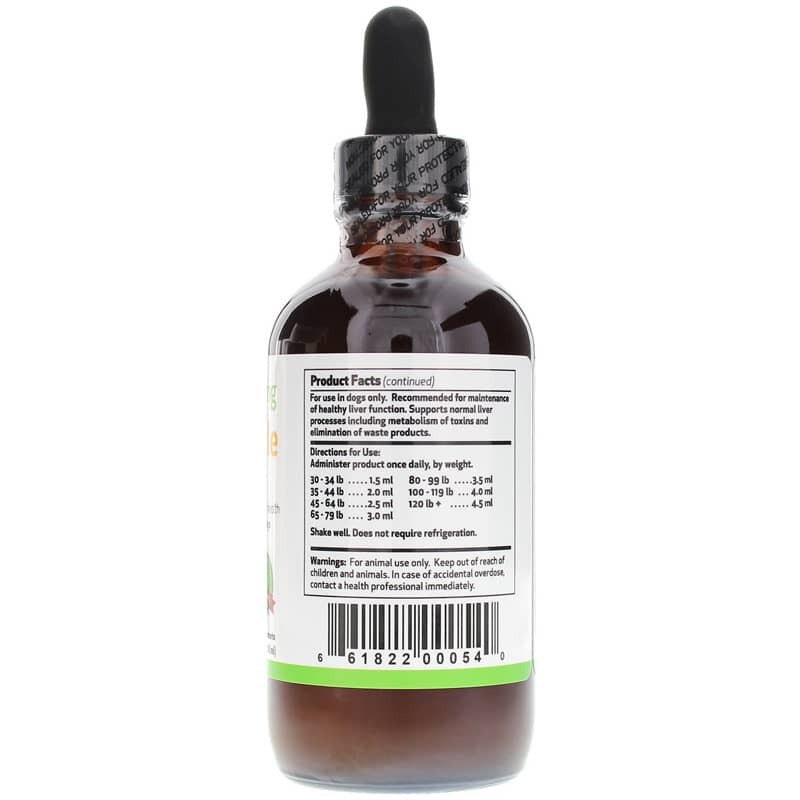 Administer this product twice daily, by weight, to provide support for the healthy function of the liver, including support for detoxification. 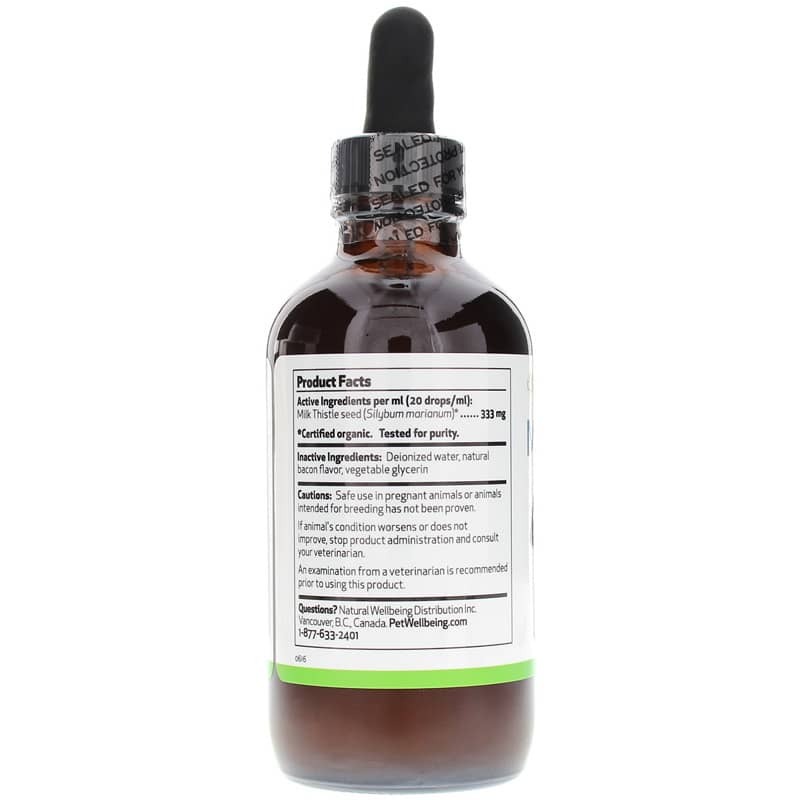 This formula may be ideal for pets that currently take other veterinarian prescribed medications, including steroid, heartworm prevention, pain, or anti-inflammatory formulas. Milk thistle is a flowering plant that contains a chemical compound known as silymarin. Silymarin is believed to provide support for healthy cells, including support for the structure and integrity of membranes during the normal development of cells in a healthy liver. Silymarin may also support the normal filtering action of red cells in the liver, and bile production. This bile carries metabolic waste and toxins to the kidneys and gastrointestinal tract where they pass from the body as waste. Silymarin may also support a healthy immune response to internal challenges, and the normal regulation of cytokines and other components of a healthy immune system. Experience Milk Thistle for Large Canine and see if it makes a difference in the life of your pet! Administer product twice daily, by weight. Safe use in pregnant animals or animals intended for breeding has not been proven. If animal's condition worsens or does not improve, stop product administration and consult your veterinarian. An examination from a veterinarian is recommended prior to using this product. For animal use only. Keep out of reach of children and animals. In case of accidental overdose, contact a health professional immediately.